LOS ANGELES -- Toyota plans to recall as early as next week 3.8 million U.S. Toyota and Lexus models -- its largest ever -- to fix floor mats that may snag gas pedals and cause vehicles to accelerate at high speeds. In the meantime, U.S. regulators are urging owners of the seven affected nameplates to remove their driver-side floor mats. The National Highway Traffic Safety Administration said it issued the warning because of continued reports of vehicles accelerating rapidly after drivers released the accelerator. The recall was sparked by an Aug. 28 accident in San Diego during which four people were killed in a Lexus, said Irv Miller, a spokesman for Toyota Motor Sales U.S.A. Inc. The investigation is continuing, but he said a floor mat catching on the accelerator may have caused that crash. “That prompted us to look more closely at reports from the field of similar incidents,” Miller said. He declined to provide a specific number of complaints that have been filed with NHTSA or say if the company has been sued. Toyota spokesman Yuta Kaga in Tokyo said on Wednesday that the floor mats subject to the recall are used only in vehicles sold in the United States. The company is also checking whether the problem originates in the floor mats or the process of placing them in the vehicles, he said, without naming the floor mat supplier. The Toyota vehicles involved are 2007 to 2010 Camrys; 2005 to 2010 Avalons; 2004 to 2009 Priuses; 2005 to 2010 Tacomas and 2007 to 2010 Tundras. Lexus models are 2007 to 2010 ES 350s and 2006 to 2010 IS 250s and IS 350s. In addition to unsecured floor mats, the company will be looking at the configuration of the pedals and the unique steps to shut off the engines with keyless ignition as possible causes for the unintended acceleration. 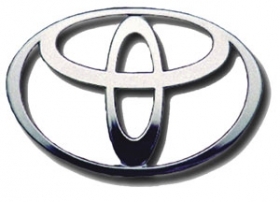 Toyota said it has no evidence that faulty brakes or throttles have contributed to the problem. • Or turn off the engine. Toyota said it was too early to provide a cost estimate for the move. Deutsche Securities auto analyst Kurt Sanger estimated the cost at a modest 5 billion to 10 billion yen ($50 million to $100 million), saying the bigger worry was its image. "Monetarily I wouldn't expect it to be a major issue for Toyota," he said, noting that labor costs, which typically make up the bulk of recalls, would likely be minimal. "The bigger concern is reputational." In Tokyo on Wednesday, Toyota shares were down 1.1 percent, underperforming a 0.2 percent fall in the main Nikkei average and a rise in rival Japanese car stocks. In September 2007, Toyota recalled an all-weather floor mat from some 2007 and 2008 Lexus ES 350 and Toyota Camry vehicles because of similar problems, NHTSA said. The automaker's largest recall to date was in October 2005 when it recalled about 900,000 vehicles for faulty steering relay rods. The 3.8 million vehicles being recalled compares with Toyota's 2008 U.S. sales of 2.2 million Toyota, Lexus and Scion brand vehicles. In the August incident, an off-duty California state trooper and three members of his family were killed in the San Diego area in a crash of a 2009 Lexus ES350. Before the crash, a passenger in the car had called 911 and told dispatchers that the accelerator was stuck and the car had reached 120 miles per hour. As an immediate remedy, Toyota urged drivers of a range of recent models to remove driver's-side floor mats until it could issue a recall in consultation with U.S. safety regulators. The San Diego Sheriff's Department has not completed its investigation into the off-duty trooper's crash, a spokeswoman said. More details on the safety advisory are available at the Toyota Web site, www.toyota.com. Drivers can also call Toyota at 1-800-331-4331 or Lexus at 1-800-255-3987.